Nothing is worth more than an informed decision. Calibrate® technologies rapid starch and fiber NIR tests can give you an edge by pinpointing starch and fiber digestibility where it matters most - in the rumen. These insights allow you and your nutritionist to optimize feed use in the ration to help achieve a higher standard of nutritional performance. A program designed with producers in mind. 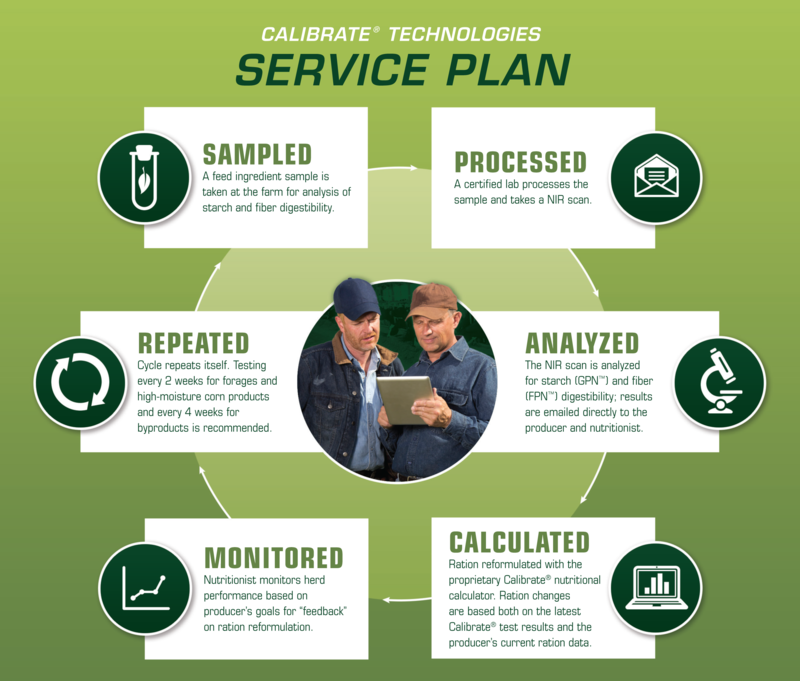 Click here for more information on Calibrate® technologies services.